Hear the voice of your customers. Do you know what they need? Are they happy? Why not ask them, it's that easy! How to gain valuable customer feedback? 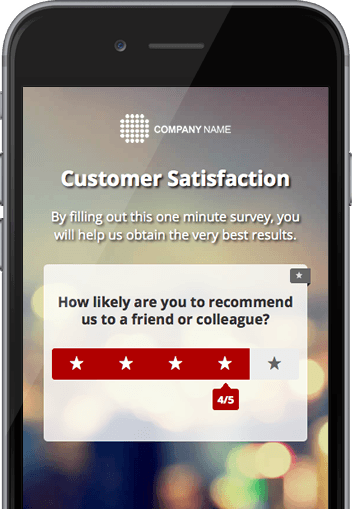 Just simply create customer satisfaction surveys and ask customers directly. Nowadays the market is full of competitive products and services, customer satisfaction is more important than at any time before. Social networks now give satisfied customers a greater opportunity to give positive references and online surveys furthers that potential to gain responses from customers. Measuring customer satisfaction via online survey is one of the best methods with very little cost. Why take an interest in customer satisfaction? Gaining a new customer is more expensive than retaining a valued customer. Regaining a customer you have lost is even more expensive than attracting new ones. Dissatisfied customers will share their experience with more people than the satisfied ones. Very few dissatisfied customers will give you a feedback on their frustrations therefore not giving you the opportunity to set it right, most of them will simply leave. Satisfied customers will come back again, become loyal and spend more money. No fuss, no muss. It just works. No extra work. No extra effort. 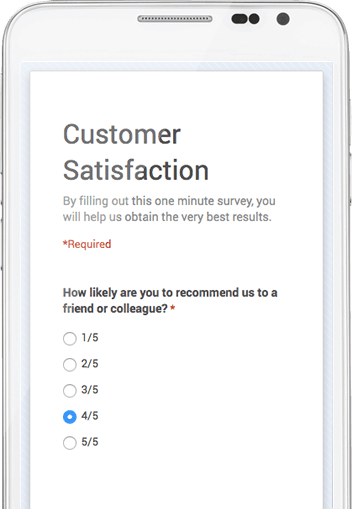 Your survey is always perfectly formatted for any device. 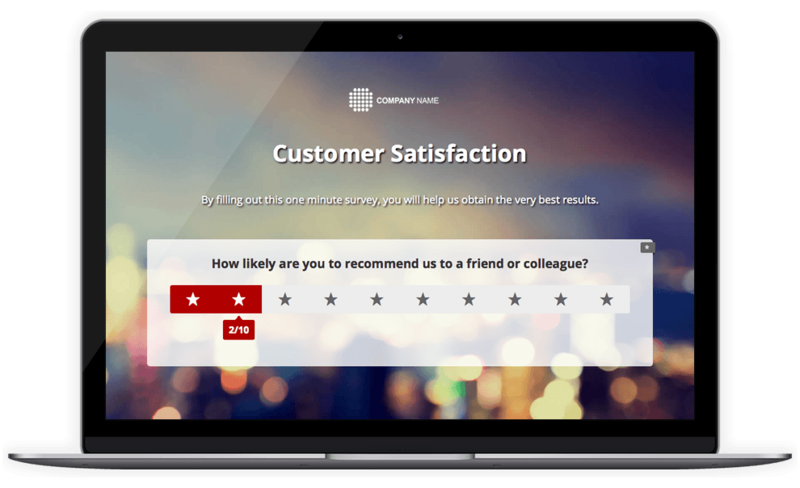 How to create a customer satisfaction survey easily? Use ready-made survey templates for a quick start. Sign-in, select survey template and it's ready in a minute!